All Oahu Beaches, all Oahu Parks, and all of the inland of Oahu, I can search other areas if needed.. Military I would be Honored to serve you. I tell everyone who calls me, I DO NOT charge for my service, but will accept what you believe my services are worth for the recovery of your lost item. For me, getting what you lost back in your hands, is the most important thought in my mind as soon as I receive your call. All rewards are thoroughly appreciated. I am born and raised on the island of Oahu, I am a pastor and love to help people which allows me to do what I love in different ways... Don't worry about the time in which you might have lost your item because I can and will search at all hours of the day or night. I look forward to being a help to all who call. This hobby has been a great learning experience, and I have made sure that for the searches that I go on, I am using the best up to date equipment that is available. One thing you will come to know about me is that I enjoy GIVING BACK! 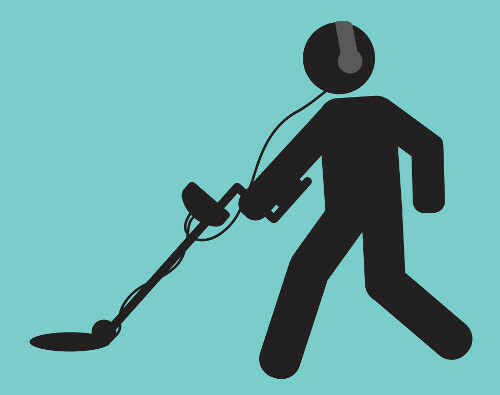 It’s a great pleasure putting your most valuable items back into its proper hands… The sooner you call, the sooner I will have to recover your lost item. 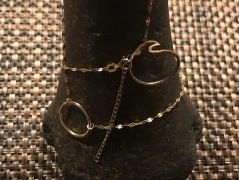 Mahalo for your time and Aloha… I have been finding rings and jewelry for people in need since 2017, with great success. Aloha. This is Dan, the owner of the missing platinum ring Kai found on February 17th. I’ll never forget this day. That afternoon I’d spent a couple hours playing in the water with my nieces. Then all of a sudden my ring just slipped off. I couldn’t believe it. It happened so fast and I’d only been married 12 days!! So the search began. My wife and I, her sister, her father, and a kind couple swimming near us, started scouring the ocean floor for the lost ring. The tide was going out and we were behind a breakwater so we could see pretty well. Didn’t help. We looked and looked and found nothing but sand. We bought some goggles and took turns searching close to the ocean floor. Still nothing. After nearly two hours, the sun was setting and the kids were cold. We finally had to admit it was time to go and the ring was lost. We were devastated. At home, I got online, did some searching, and learned about Kai (Lanaki) on RingFinders. I sent him an email around 9:00 PM expecting him to contact me the next day (keep in mind it was Sunday night). Within 20 minutes, Kai had me on the phone. He asked some questions as I tried to explain what happened and where the ring might be. He looked up the tide charts and told me it was a go. Are you kidding me?! He was willing to meet a stranger, in 30 minutes, on a cool Sunday, to help search for a lost ring! At the beach, I met Kai and his father. We talked about where the ring might be. Kai was a complete professional. He explained the process and what to expect. He tested his equipment, turned on his headlamp, and within minutes was in the water scanning. All I could do was standby on the beach and watch and hope. Kai was in chest deep water when I saw him slow down with the detector. “No way” I thought to myself. It hasn’t even been 10 minutes. Could it be? Sure enough, Kai spun around and gave me a big nod with his headlamp– the signal that he’d found the ring. Unbelievable! 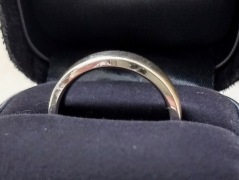 Just like that Kai had located and reunited me with my wedding band. A moment I will never forget. Kai was so great. 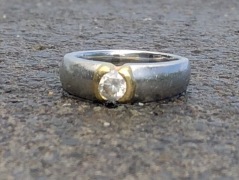 I highly recommend him to anyone who has lost a ring in Hawaii. He knows what he’s doing and he’s a great guy to boot. I feel incredibly lucky to have met him and his father, and benefitted from their expertise and generosity. Thank you guys! Kai was an answer to our prayers. Kai dropped everything on short notice to come visit us that morning in our time of need. As you can tell by our experience and other posts, Kai is an expert in finding cherished valuables and can give anyone hope that is in a predicament like we were in. As good as an expert he is with his equipment and his methodology to find our ring and others, he is a better person and has a pure heart and uses his talents to serve others. Kai, you were an answer to our prayers and you have such a beautiful family. It was a pleasure meeting you and your wife Ohana and your two beautiful kids. Please don’t hesitate to look us up when you make it back to the mainland and if you make it up to the 801! 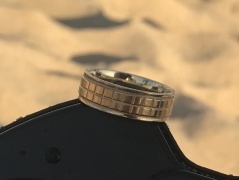 A beautiful morning at the beach turned to panic when I noticed our family’s treasured heirloom- my grandmother’s almost hundred year old diamond and platinum ring was no longer on my finger. I looked online and called the first ring finder that popped up. After very noble hour and half looking, it seemed that luck was not on our side. I went home broken hearted, posted to lost and found craigslist and decided to relax, and figure out a game plan to fully exhaust the search the following morning. I woke up early and checked my phone right away with the tiniest hope that maybe someone had responded to my listing. Instead, there was a text from Kai. He had reached out to offer his help, if we were gonna do another search- I had a feeling this guy was gonna give it his best for one more look. An hour later we meet up at the beach. Long story short…HE FOUND THE RING IN 15 MINS!!! Aside from being a total pro at searching- he is 100% trustworthy, understanding and compassionate. A true example of aloha. My advice if you have a lost item…stay positive, don’t give up looking and get in touch with Kai ASAP. Much Mahalo to you, Kai. You are truly blessed in the works you do. Day 1 of our vacation Matt was playing in the sand with Abigail and he lost his wedding ring sitting in the water playing in the sand. We were devastated…. after much searching we had come to terms it was gone forever. 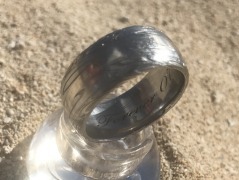 On an off chance I asked a random beach kiosk if anyone found a ring and they had not but gave us Kai’s Number . He saved our vacation and all done by donation . I was so devastated when I lost my jewelry at the beach, especially a necklace my mother had given me. I thought they were lost forever but I posted an ad and a couple hours later Kai called and gave me hope! He was so wonderful to work with and then went above and beyond to help me. 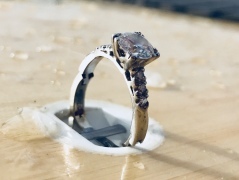 He drove all the way to the North Shore at around 10:00pm and searched for two hours in the dark until he found my jewelry!! I couldn’t even believe it. Kai is so kind and so wonderful and just so awesome.